International development experts at the University of Wolverhampton have received an award for their work supporting forest governance improvements in Liberia. The Centre for International Development and Training (CIDT) was awarded the Forest Governance Award by the NGO Coalition of Liberia. The award recognises the work of CIDT to “support, strengthen and advocate on Forest, Environment and Land right issues in the Republic of Liberia and Africa”. This involves strengthening governance and institutional reform within the forestry sector in order to amplify the voice of forest-dependent communities and protect endangered environments. Sarah Thomas, Senior Consultant for CIDT, said: “It really is a huge honour and we are absolutely delighted to have received this award. CIDT staff have been working in the forest sector in Liberia in various capacities for nearly a decade now and we are also privileged to have hosted a great number of Liberian students on our ‘Improving Forest Governance’ course (2010-2016). CIDT’s work in Liberia forms part of an EU/DFID funded project to reduce illegal logging and promote more transparent and inclusive governance of the forest sector. 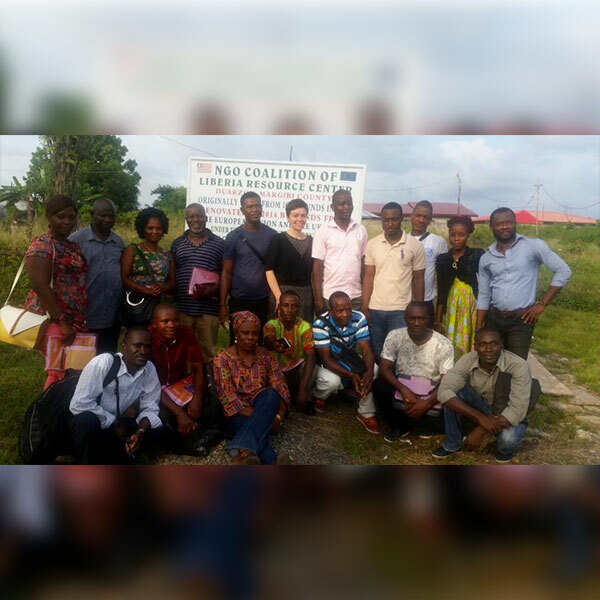 As part of the project CIDT has been providing institutional development support to Civil Society and community organisations, strengthening both their oversight function and their contribution to the multi-stakeholder decision-making process in Liberia. CIDT is based at the Telford Campus and has worked in over 140 countries worldwide on projects, programmes and consultancy work focused on international development.